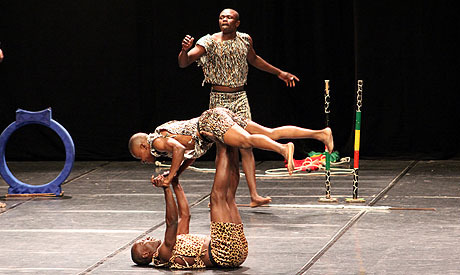 Launched in 2012, the Backstreet Festival is organised by the International Association for Creation and Training (I-act) and the cultural space Teatro Eskendria. The festival “aims to host performing arts in open and non-traditional spaces with the objective of merging performing arts into the culture of the Egyptian street and thus paving the way for practicing freedom of expression,” as mentioned on the official Facebook page. 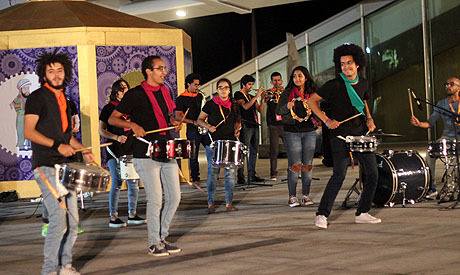 In its third edition, the festival opened with two performances: percussion troupe Streat Beat that performed at the Bibliotheca Alexandrina's plaza and an acrobatic troupe from Kenya, Faith in God, that performed in the Bibliotheca's Great Hall. The festival continues until Thursday, 22 October, with troupes from Egypt, Austria, Bulgaria, France, Germany, Hungary, Japan, Kenya, the Netherlands, Switzerland, the United Kingdom and the United States. The festival spans several locations in Alexandria: the Bibliotheca Alexandrina, Theatro Eskendria, Koum El-Dekka, the French Institute in Alexandria, the Jesuit Cultural Centre, and Studio Janaklees. It also reaches out to Cairo with a few performances in Teatro El-Maadi and Falaki Theatre.